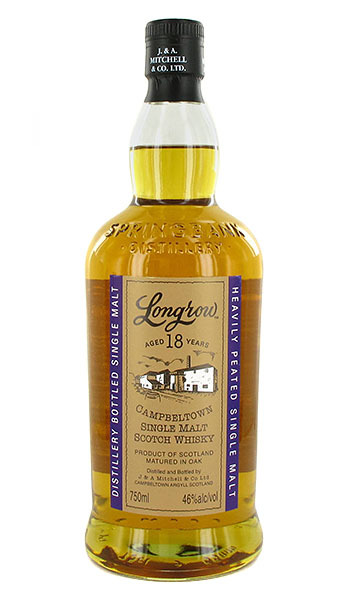 Longrow’s single malts comprise one of three brands produced at Springbank Distillery in the Campbeltown region. Besides being known for distilling good whisky, Springbank is one of two distilleries in Scotland that perform the entire whisky making process on site. Longrow is produced twice a year in small quantities and is double distilled, as per Scottish tradition. Longrow’s malt is “heavily peated” at 50-55 PPM, but you wouldn’t notice from the produced distillate. Where peating starts is not where peating ends, as distillation naturally strips those phenols from the malt, and in the case of Longrow, it feels more like a gentle Bowmore with minimal impact from the smoke. Our selection is bottled at 46% ABV and is non chill-filtered with no coloring. Nose- Rich, honeyed cereal notes. Some smoke with fresh scones. Nice fruit notes of apricot, tangerine and some sugary raisins. Full, aromatic and fantastic. Taste- Honey over warm biscuit. Berries. Succulent. Finish- Flavor burst of smoke and honey BBQ. Tad bit sour on the back end with some floral touches. Long. Comments- Knockout on all fronts. Great display of frutiness, honey, and light smoke in a bottle. 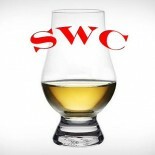 A very complete, satisfying whisky. You’ll pretty much have to grab this one online, folks, but it is possible to find this.